Dyonna Ginsburg is the Executive Director of OLAM, a shared platform to engage the Jewish world in global service and international development as an expression of Jewish values. Dyonna sat down with us to chat about everything from her personal approach to leadership to her favorite documentaries. Best advice you have ever recieved? "Sometimes you'll get credit for things you didn't do. Other times, you won't get credit for things you did. Either way, be gracious." Moses isn't mentioned in the entire Passover Haggadah, despite his pivotal role in the Exodus story. Life is about making a difference. It's not about the accolades. I love connecting people working in global service and international development. Magic happens when talented and good-hearted people meet! Since OLAM's inception, dozens of concrete collaborations have emerged from such connections. I also love applying time-honored Jewish wisdom to contemporary challenges. 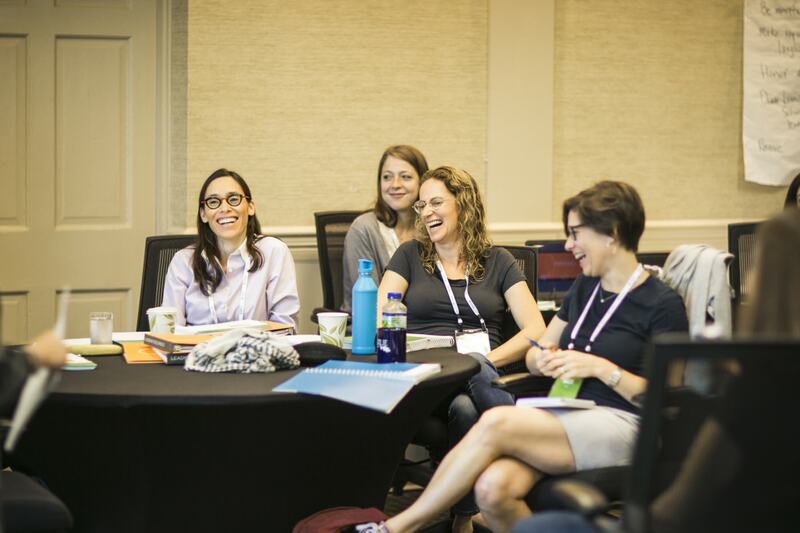 I believe in the power of Jewish text study to enrich conversations, bridge differences, and inspire action. What is something work-related that keeps you up at night? I think a lot about the question of how the modern State of Israel can fulfill its potential to be a laboratory for social justice at home and an ethical actor in the world. It's clear we still have a long way to go. At the same time, I wonder how we can help people see Israel as the vibrant, dynamic, and miraculous place it is, as opposed to simply honing in on its shortcomings. Be collaborative. Consult with others. Relationships matter. Biggest opportunities and challenges facing the Jewish community? Today's global Jewish community is blessed with unprecedented resources. How do we use our blessings to be a force for good in the world? 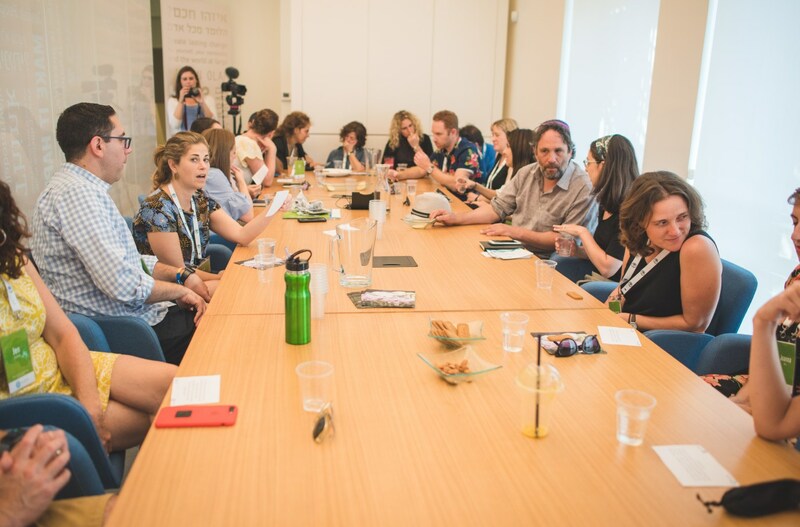 How do we move beyond the "scarcity mindset," which has understandably characterized much of Jewish history, in order to galvanize our abundant resources to support the most vulnerable people at home and abroad? Best thing you have watched/read/listened to recently? If you're interested in questions of nature versus nature and/or the ethics of scientific research, watch the documentary film, "Three Identical Strangers"! It's a powerful, compellingly told story that raises lots of important questions and it kept me up way later than I had planned on a recent transatlantic flight. Down time with my husband, Zeev, and one-and-a-half year old son, Lavi; curling up with a good book and an iced coffee (the sweeter, the better); and enjoying a Shabbat meal with good friends. Jewish tradition teaches that "whoever saves a life, it is considered as if he saved the entire world." I sometimes worry that I'm focused too much on the macro and not enough on impacting individual lives. If I can touch one person's life in a deep way, that's success. Most important thing you have learned in the last five years? Becoming a parent has been a steep learning curve for me. I have a newfound and deep respect for all the people who raise children. At the same time, I've learned to appreciate the numerous little things in life – the moon, anything on wheels, soap bubbles, etc. – that my toddler adores. What are you interested in learning from others in the Schusterman network? Setting audacious goals and taking significant organizational risks. 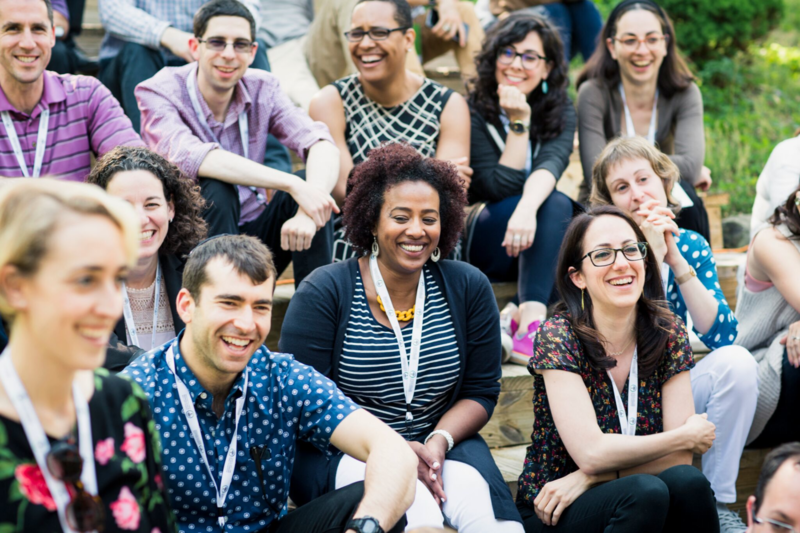 What would it look like for OLAM – and the field of global Jewish service in general - to punch well above its own weight? What can others in the Schusterman network learn from you? The challenges of building a field and why I don't think organizations should exist forever.